Capt. 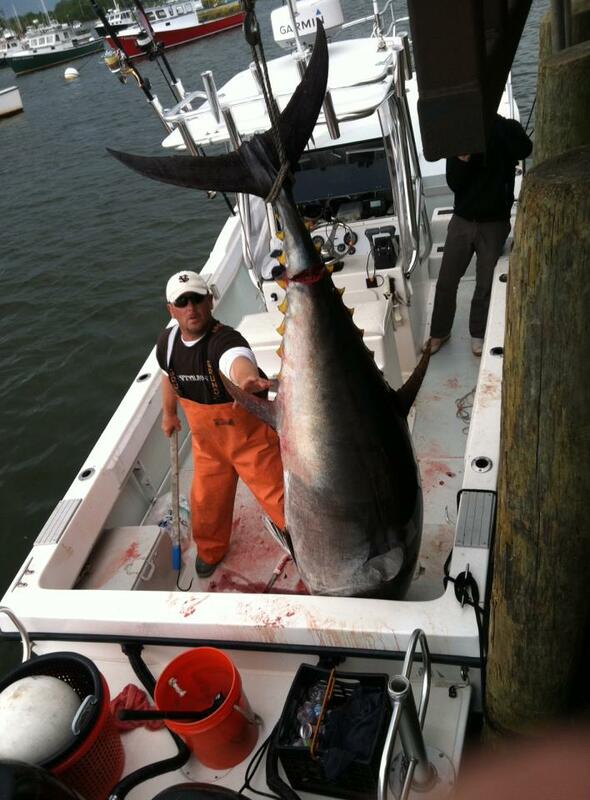 Domenic Petrarca has been a life-long outdoor enthusiast, growing up hunting and fishing in southern New England. His love of the ocean and boating led to his current career path as the owner and sole operator of Coastal Charters Sportfishing. Captain Dom is a licensed USCG Master Captain with over 20 years experience chasing large pelagic fish. Over the past 6 seasons Capt. Dom has specialized in light tackle jigging and popping using strictly artificial offerings for bluefin tuna, and has consistently guided his clients to some of the largest fish ever taken by freestyle methods. Follow Capt. Dom on our blog! "I chose the Dusky 256 FC because it had everything I was looking for when setting up the ideal vessel for the way I target these fish. I needed a trailerable outboard center console with raised casting deck that was stable, fast, and economical to run. With a few custom touches like the 3-tier bow rail, custom hard-top, 12 rod rocket launcher, and rear stanchions I created what I feel is the ultimate light tackle "run-and-gun" charter boat. My clients love the 360 degree casting range, huge forward raised deck, and the smooth, dry ride that the Dusky hull provides. The boat is a breeze to trailer single handed, as I do not run with a mate, over 100 times per season which allows me to launch from whatever port is closer to the good bite. Because the boat runs so well with light horsepower and is an absolute tank in heavy seas, I am able to run more often, further distances and longer days than my competitors for less out-of pocket expense, which often also equates to a better catch rate."